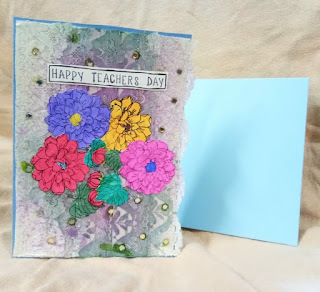 Its been a long time.. very long time that i looked into my blog..
busy schedule with new baby.. few orders.. learning new crafts.. time just passed soon..
now my baby is one year and elder one is in 1st grade.. Learned a lot many new craft works.. Meanwhile , My Venture KraftyWaves turns 3 today !! lots of space for journaling.